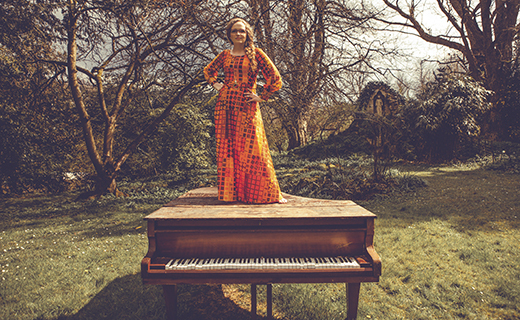 Child development charity Compassion UK has announced acclaimed singer/songwriter Philippa Hanna as the charity’s first Artist in Residence. Barnsley-born Philippa, a leading Christian and gospel artist who has toured with Lionel Richie, Little Mix and Leona Lewis, has been a Compassion UK ambassador for over ten years. During this time she has used her voice and platform to highlight the charity’s life-changing work with the world’s poorest children. The new role, which begins this month, will see Philippa present about Compassion’s work at local and national events, telling her own story of how sponsoring five Compassion children has had a profound impact on her life. She will also build new partnerships for the charity, lead worship at staff meetings and events throughout the year, and highlight Compassion’s work through regular digital and media engagement. Philippa has been one of Compassion UK’s most committed ambassadors, securing sponsors for more than 1000 children, who are each being given the chance to have a different future. Philippa’s child sponsorship of £25 a month has enabled Carlos to get a good quality education and be a part of his local Compassion project where he receives nutritious meals, emotional support and medical attention. Yet hundreds of children are still waiting for sponsors. Philippa Hanna will be employed by Compassion UK one day per week, and will continue her tours, events and other projects alongside this new role.